Chances are you’re looking for the best violin for intermediate students, so you’ve bumped into this buying guide. Choosing one wisely, you can look forward an excellent performance and better confidence on stage. To help you get started, we’ve prepared a short guide and top picks in the category. Let’s begin. According to MusiciansFriend.com, intermediate violins are for students who are advancing their skills and those who aren’t ready to invest on a professional violin and don’t want a beginner instrument rather. So if you belong to this category and want to fill the gap between professional and student instruments, you must go for the intermediate violin. However, you must avoid violins with a way to thin or thick neck, according to ViolinSchool.com. Remember -its neck must be able to sit comfortably in your hand. Take note, some violins are better sounding as soloist instruments, usually having a bold and bright sound. If you’re playing solo, look for these violins, which also have a gutsy tone. On the other hand, check out those with subdued sound that’s ideal to use in an orchestra. Then, would you like an electric or an acoustic violin? Think about that. For one, electric violins, as you should expect, have a solid body and minimalist design that reduces its weight. For acoustic violins, you can expect a warm and rounded tone originating from the tonewood of which it is made. So when shopping around, determine your music style and pick between an acoustic or electric violin. This is a full size violin that comes with D’Addario Prelude Strings. What I liked about the CVN 300 is that it also has all the things we need to produce great sound and play nice music. The CVN 300 comes with a lesson book that adds to its value. We don’t have to buy a lesson book separately, and I think it is a nice freebie. Overall, the violin is a great pick for intermediate students because it is complete with accessories, such as a hard case, a Chromatic tuner, two Brazilwood bows with Mongolian hortsehair, an extra bridge and a rosin cake. The Mendini MV500 violin is another decent choice for intermediate players that want to improve their violin skills and unlock their full potential. If you’re looking for powerful and rich tone, I highly recommend it. Another thing I liked about the Mendini MV500 is its tonal quality and ability to produce sensuous sound. It resonates perfectly. You might even feel that the violin is singing. 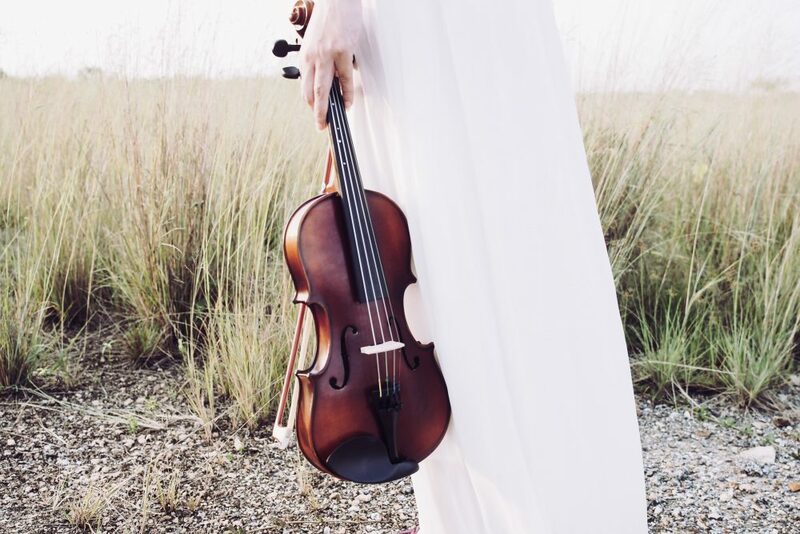 The violin is also highly recommended because it comes with complete accessories, including two pieces of Brazil wood bows and string tuner with metronome. I’d also like to note that it has an elegant design, giving it a vintage look. In addition, you don’t have to upgrade sooner because this violin is durable and reliable to last for years. The Stentor is a handcrafted violin that is designed and made with a solid wood spruce top along with maple sides and back. I would like to recommend this full sized instrument because of the great sound quality it produces. Thanks to the great design with inlaid purfling, hardwood chin rest, full ebony fittings and red label strings. In addition to these, I love that it includes an alloy tailpiece that already has four spring adjusters. You’ll also appreciate that it comes with a covered case with an instrument blanket and a shoulder rest pocket. I also liked its warm brown finish that gives it a classic look and appeal. Overall, the Stentor violin is a decent choice for intermediate students looking for quality and elegance in their new instrument. 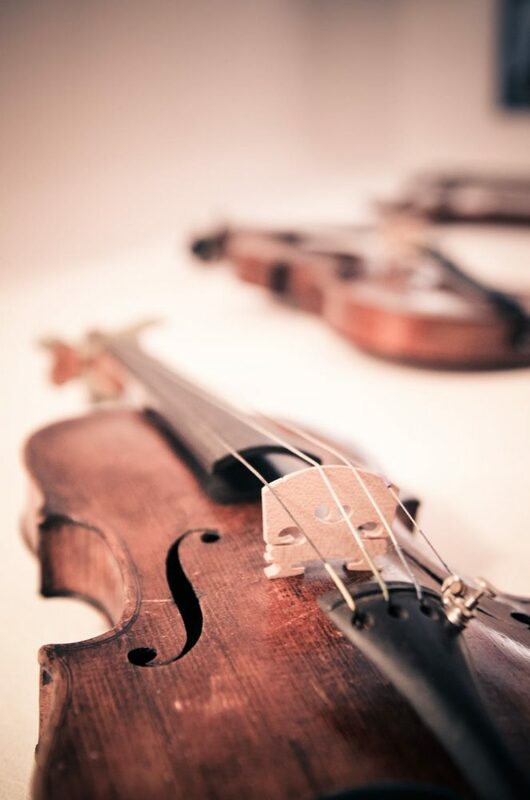 The CVN-500 should be included on this list of the best violin for intermediate students because it comes with accessories, including a lesson book, extra set of strings, shoulder rest, two bows and a tuner. It also comes with D’Addario Prelude Strings, which make it more valuable. You will also appreciate that it’s fitted with chinrest, pegs, ebony fingerboard and tailpiece with fine tuners. If you’re looking for an orchestra violin, the Cecilio CVN-500 is a cool pick. I love its solid spruce top along with flamed maple sides and back. And when it comes to the finishing, this model has that antique touch, giving it a classic look perfect for orchestra. Overall, this lovely violin for intermediate students is a good choice for its sound quality, performance and classic design. If you’re upgrading your skills, but not ready to invest on a professional level violin, you might want to take a second look at the Cecilio L4/4CEVN-L2W. It is packed with solid performance features and nice aesthetics. It is an electric violin that offers superb functionality if you’re looking for the best value of your spending. Using it, you can practice and perform comfortably because it comes with an output jack for silent rehearsals. I’d also like to recommend it because it has a volume control for ambience flexibility. It is also useful for the line in jack that lets us practice with a background track. The clear winner for today’s reviews of best violin for intermediate students is the Cecilio CVN-300 Solidwood Ebony Fitted Violin that is complete accessories and delivers high quality sound whether for a practice or a performance. It is also made of solid spruce wood top that does not only make it durable but aesthetically pleasing. The purchase already comes with a chromatic tuner, adding value to your investment. It is also made by a trusted manufacturer chosen by professional violinists looking for superior quality instruments. Overall, you might want to consider the Cecilio CVN 300 for its great price, top performance and durable materials. With it, you’ll gain more confidence in your performance and practice. Buy it today!